As the frequency of extreme weather events is on the rise, existing buildings are vulnerable to power disruption, equipment failures, displacement of residents, and other costly damages. 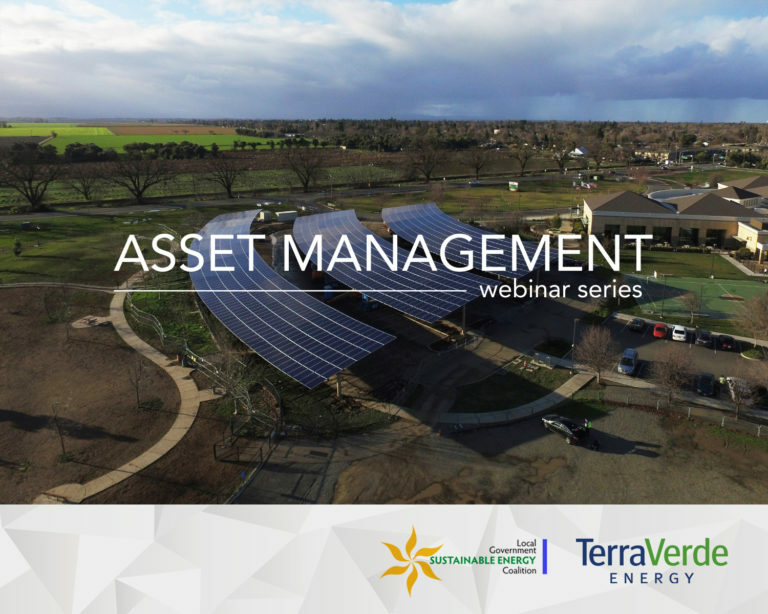 This webinar will feature tools and strategies to improve the resilience of existing buildings and community assets through building upgrades and microgrids. The webinar will include an overview of DNV GL’s B-READY building resilience tool, which helps building owners and managers translate climate-related, site-specific risks into actionable resilience strategies. DNV GL will share findings from real-world projects to demonstrate resilience in action, including Seattle City Light’s development of a microgrid at the urban Miller Community Center, designed to serve as a community hub during a grid outage. EcoMotion’s leadership team will be “Live”, Tuesday, September 18th, giving the most comprehensive webinar yet on planning, financing, installing, and managing microgrids at campuses, cities, and multi-complex sites. EcoMotion has implemented its unique design for Powered Emergency Response Centers (PERCs) that can supply electricity indefinitely, even when the grid is down by coupling battery storage with a solar system. Ted Flanigan, founder of EcoMotion, and Michael Ware, Senior Energy Executive, will lead this webinar and take participants through the actionable steps they used to bring six installed PERCs to campuses in California. As an expert in utility rate structures and how they impact the return on investment, Michael has developed tools for weighing the value of different components, incentives, rebates and financing scenarios with infrastructure development. EcoMotion’s Founder, Ted Flanigan, is a veteran of cutting-edge sustainability and resiliency projects, including planning, financing and managing the build of carbon free microgrids. Ted will discuss the benefits of PERCs, along with their potential to harden infrastructure and provide resiliency for communities. Join LGSEC and EcoMotion to power your future! We will also address the unique differences between both system owners, and those who are purchasing power from a PPA provider. 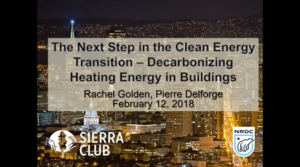 Hosted by Margaret Bruce, Local Government Commission, Rachel Golden from the Sierra Club and Pierre Delforge from NRDC., presented about the decarbonization of space and water heating in buildings, proposed legislation, and how local jurisdictions can help. Dawn Weisz, Chief Executive Officer of MCE Clean Energy, presented about Community Choice governance, rate setting, and CPUC and Legislative policy issues. Alex DiGiorgio, Deputy Director of Community Development at MCE Clean Energy, presented the foundations of Community Choice Aggregation, including what it is, why local governments may be interested in exploring it, how to evaluate the opportunity for your community, and how to lay the groundwork for successful implementation. Jay Dickenson, Chief Consultant of the Senate Energy, Utilities and Communications Committee, provided an update on this year’s most prominent energy-related bills. 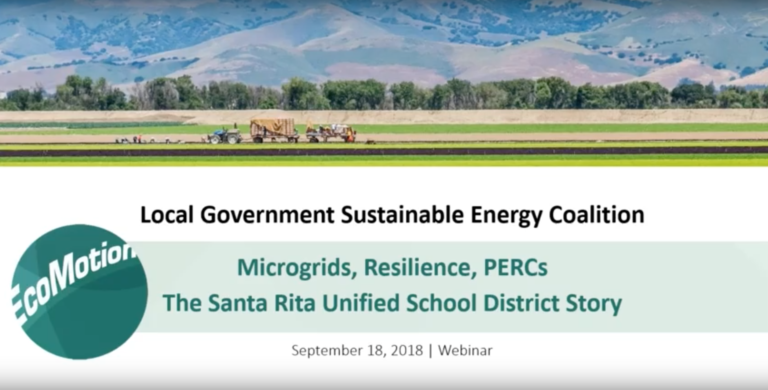 This webinar discussed the various tools and products the State of California is making available to local governments to promote clean energy projects for residents, including up to $23,000 in funding for free co-branded marketing materials and other marketing ideas to promote energy project financing. The webinar also detailed updates to the California Hub for Energy Efficiency Financing (CHEEF) Residential Energy Efficiency Loan (REEL) program. The City and County of San Francisco has developed a first of its kind tool that enables building and energy managers, architects, and sustainability and energy professionals to size their buildings for energy storage + solar. This webinar demonstrated the use of this tool and in solar siting for resilience planning.